Personal discipleship ministry is an important part of the Galilee 2016 training. 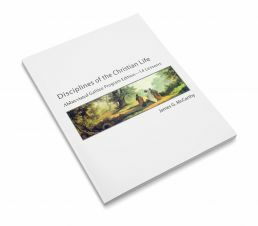 Throughout the program you will be meeting daily in groups of three or four to work through a manual titled Disciplines of the Christian Life. Our hope is that by the end of the program, all participants will be equipped to continue this kind of training with others in their home church. If you are filling out the document digitally, please only use Adobe Acrobat to prevent any technical glitches.